Every year at Father’s Day we celebrate fathers everywhere for the contributions they have made in the lives of their children. All children have a father but, unfortunately each year fewer children experience what it is like to have a dad. This sad fact has also made it difficult for many fathers who are dads to their children to know how to be a good dad because they never had one when they were growing up. My case could have been the same, but I was blessed as a boy with a dad who came into my life after many years of living without a father. Now, more than ever since his passing to be with the Lord, Father’s Day has a special meaning to me because of a personal testimony left behind for me by my dad. As a boy, I was nearly 10 years old before I experienced what it was like to have a dad in my life. Due to reasons I won’t get into, my parents divorced when I was very young. My first recollection of the fallout from this was my earliest memories of a Christmas wondering where my dad was. Later, while in my first years of elementary school I remember hearing over the school intercom one morning how there was going to be a father-son dinner. I was sad because I wanted to attend it with my friends and their dads, but realized that I could not participate because my father did not live with us and we did not even know where he was. Living as a young boy in the early to mid-1960s I did not know of any other boys in my class that were in the same situation as it was not very common back then, especially in the small town we lived in. So, I reserved myself to the fact that there was nothing that I could do about it. He taught me by his example how someone who was not even my father could love a boy that was not even his and make me his own. Eventually my mom did remarry. While there were some adjustments at first, life soon settled down to somewhat of a normal family. However, what I did not realize at the time was how special my relationship with my new dad would turn out to be. The first indicator was that the man who married my mother, Gary, adopted me and gave me his last name. Second, I remember how difficult it was to get new clothes, but starting that year, mom and I were able to go to the store every year before school started and buy me new clothes and shoes. I also noticed that for the first time that I could remember, we were able to live in a house that we owned. My new dad loved to hunt and fish and he taught me to love the same. At first, since I was too young to hunt with a gun he would take me hunting and I played the role of the dog. By that I meant that when we were hunting, I had to kick the small bushes and fallen timbers to scare up any rabbits or birds. Before long, he bought me a bow and arrow and taught me the safety principles of hunting that would carry over into hunting with a gun. I soon was allowed to go out in the fields with my friends to hunt with our bows and arrows. As I got older, I learned to run a trap line and hunt ducks. My experience and proficiency in hunting birds and shooting clay pigeons in the summer time carried over to the military where I commonly had perfect scores at the rifle range. In addition to this, he taught me everything I know about fishing, boating, water skiing, and a host of other activities that I might not have ever experienced as a boy. What I did not realize at the time was that my dad was also teaching me how to be a man. Although I was not raised with a strong focus on Christ, I was taught moral values and responsibility that helped me to become the man I am today. This does not mean I did not make mistakes and wrong decisions along the way, but I knew there was right and wrong ways to behave when making responsible decisions, even when it was not in my best interests or came at great expense to myself. He also made me study for an hour every night whether I had homework or not and this not only helped me to get better grades, but laid the foundation for deeper independent study as I got older. Of particular note was that He bought a full set of Encyclopedia Britannicas that opened up my mind to medicine and science and a general love for learning that has helped me to be successful as an adult. It was not until many years later when I trusted Christ as my Savior that I realized something else that my dad taught me. He taught me by his example how someone who was not even my father could love a boy that was not even his and make me his own. This was a profound real life example of how God the Father could adopt me as His child, give me a new name in Heaven, and provide for me in ways I never dreamed of (Romans 8:15; Galatians 4:5-6; Ephesians 1:3-14; Revelation 3:12). My greatest blessing from my dad came the last year that he was alive when we stayed with my parents for a few months before moving to New Mexico. During that time, my dad and I were able to develop a deep friendship that included sharing our hearts when it came to matters of the Lord and eternity. It was because of this time, that when we received a call less than a year later that he had suffered a severe heart attack that took his life a few days later that we were able to say goodbye with the sorrow of losing him, but with the knowledge and hope that we would be together again one day to talk and share our hearts for an eternity. So, when I think about Father’s Day, I think about a man that, despite the human shortcomings that we all have, was the best example to me of how a man can love a child that was not even his and make that child his own. If that was not an example of unconditional love, I do not know what is. Great example of our adoption as sons and daughters of God. Thank you! Amen Doc. I loved it too. Yes, great example, as you are too my brother. I can testify that Gary was a great Dad to Michael. Michael and I met more than 40 years ago when we were high school kids. It was a number of years after that when I learned that Gary was not his biological father. Never once did it even cross my mind that he was anyone other than “Dad” … which is the name he insisted that I call him from the day that we met. Yes, Michael was adopted into the Williams family just as God invites us into His family by faith in Christ. 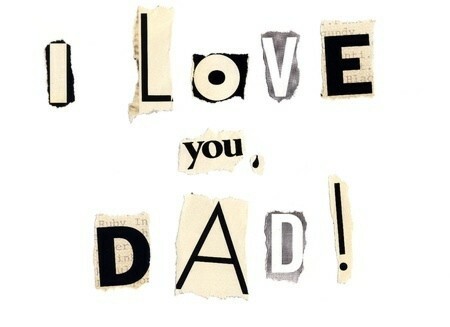 I miss Dad Williams but look forward to being reunited with him in heaven one day because he is my Dad and my brother. All glory to God for that! Next post: Who Did Not Die In The Bible?